It reminds me of a former co-worker who married. Her name changed from Lehky to Leary. For many businesses that she was associated with, it actually caused more confusion by being so close. 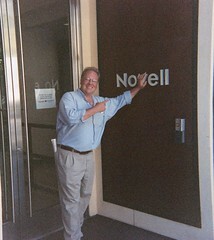 Or, you could change your name to Novell and then sue them! Or maybe use it for a pick up li(n)e (would only work on geeks tho).